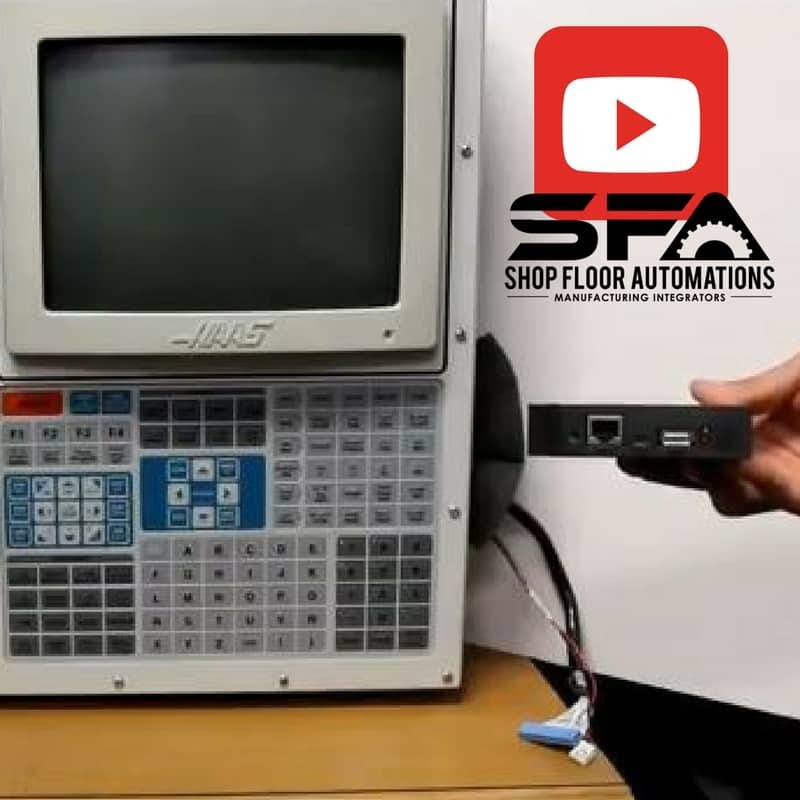 The Shop Floor Automations Floppy Emulator works on numerous controls. 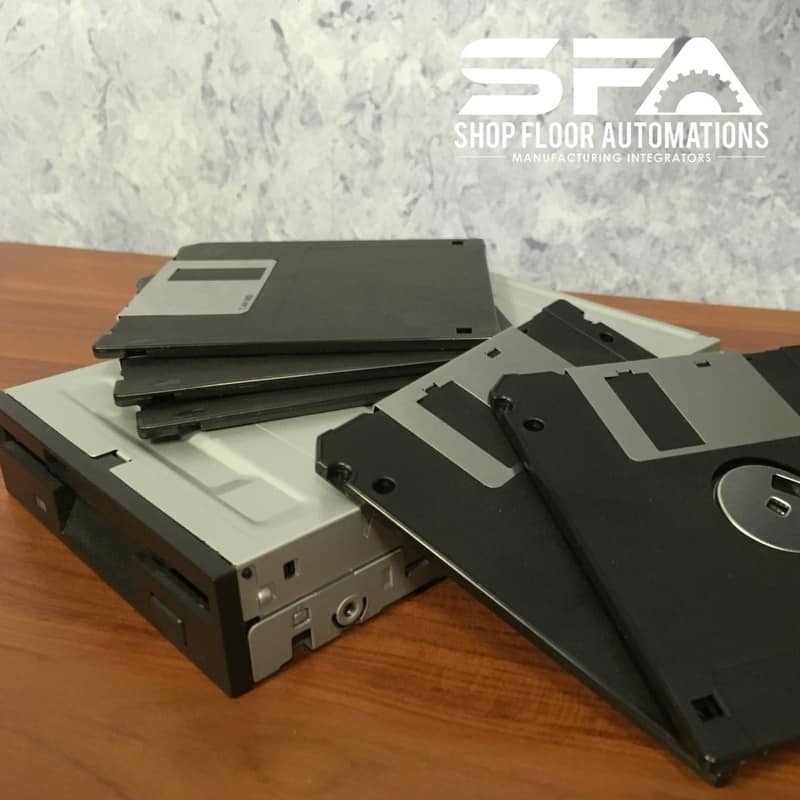 The drive emulates your existing floppy drive to act as if the floppy drive was never removed. 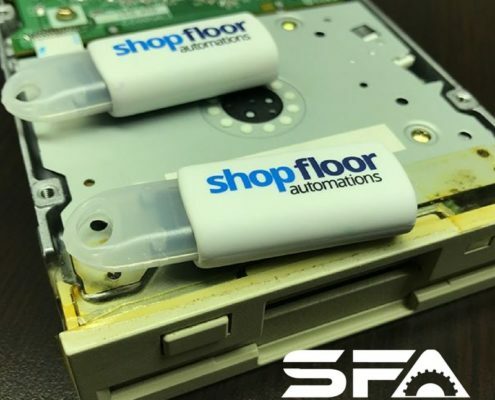 What USB sticks will work with the SFA Floppy? 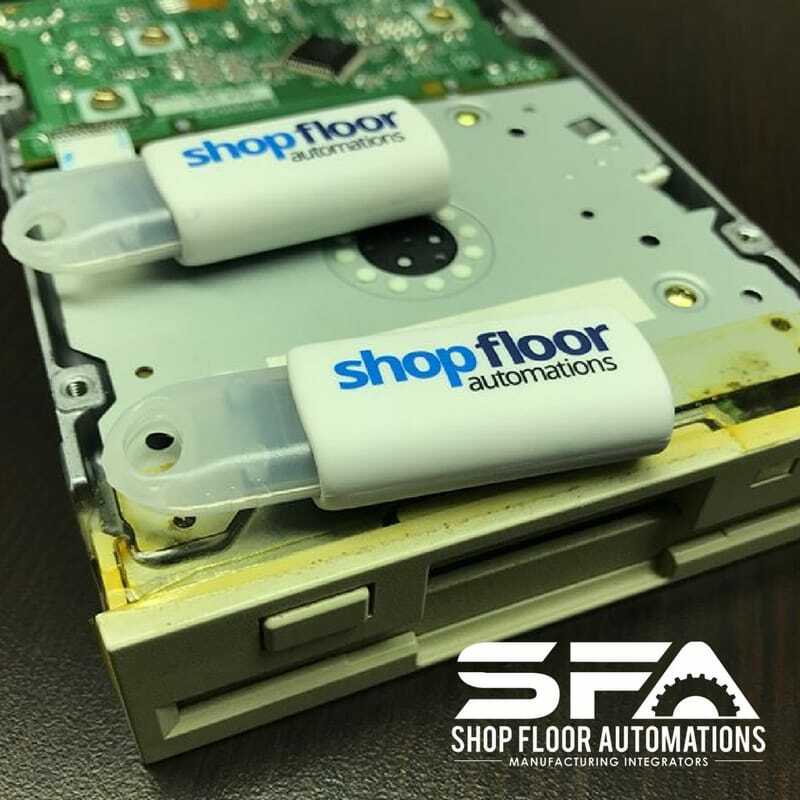 The Floppy Drive Emulator comes with a 1GB USB Flash Drive with the manual on it, full technical support, and 1 year warranty. 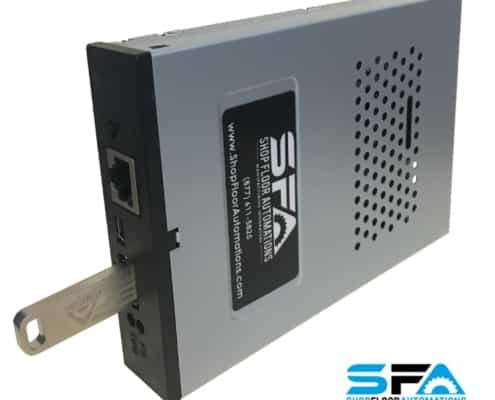 Connects to Standard 4 pin Power Connector & 34 pin Ribbon connectors on standard floppy drives. 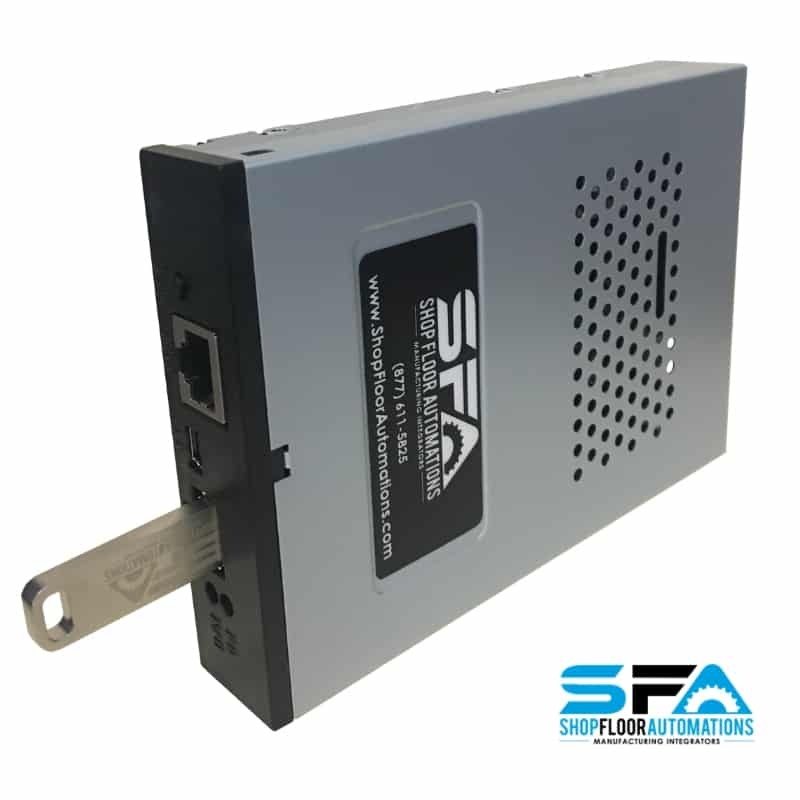 Please note: Before calling or requesting a quote via our sales form, please have the information on your existing make and model of the drive needing this emulator. 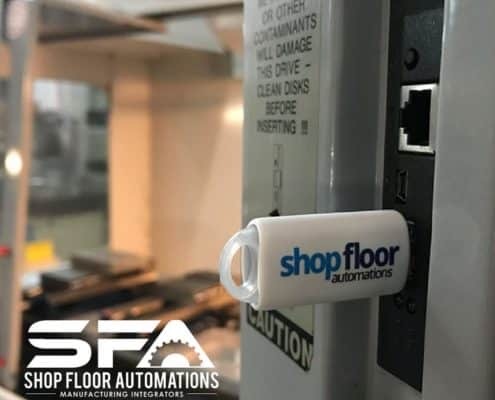 This helps to confirm compatibility and to get you the proper quote. 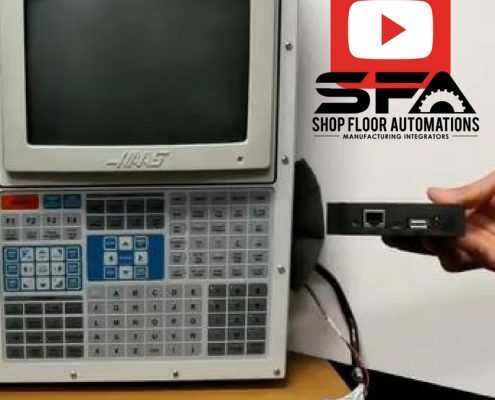 The $275 price is only for Haas machine specific Floppy Emulators. 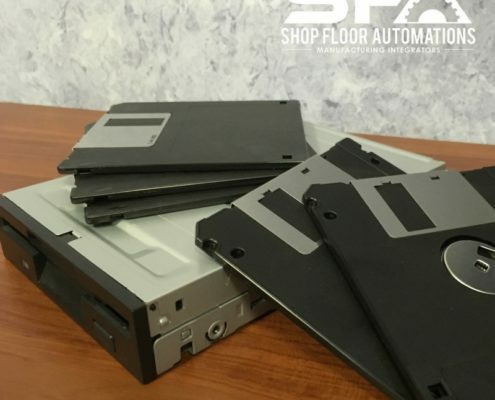 Space on those is limited to 1.44 MB. 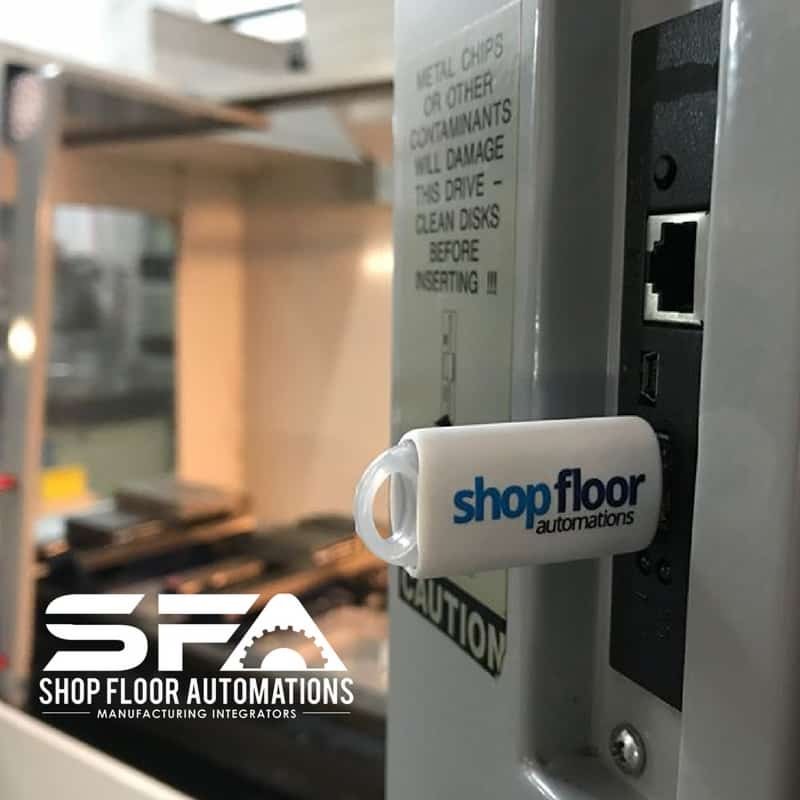 If file size is a concern to you, contact us at (877) 611-5825, or consider the Portable USB or the Pendant USB.